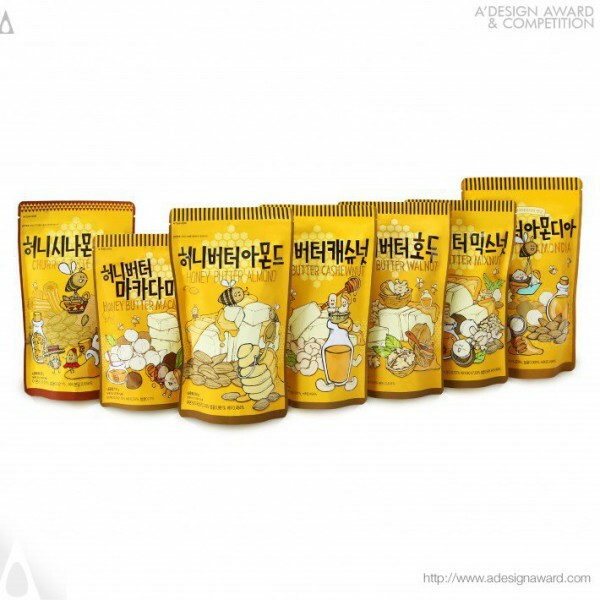 Yang Jung Eun - Gaenyeom Gongam Studio, the creative mind behind the displayed design Packages by Yang Jung Eun - Gaenyeom Gongam Studio points out, Yang Jung Eun designer designed the Nuts Snack Series packages for her client Gilim, a nuts company. 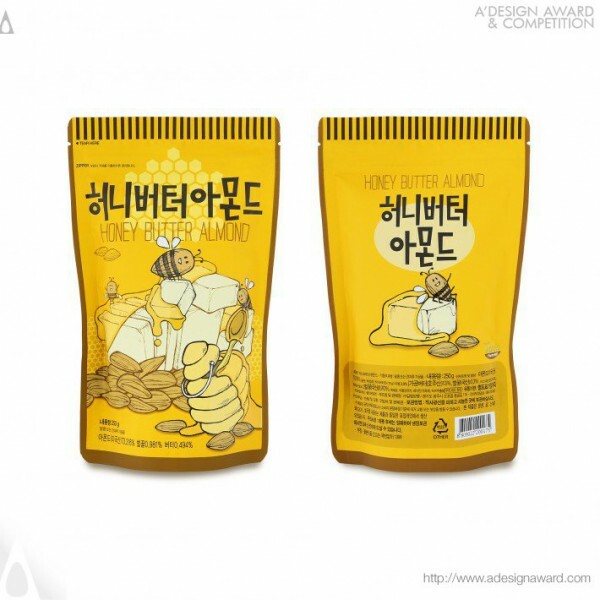 The packages are illustration-driven design in order to provide customers an idea about the taste of the products to help their purchase. 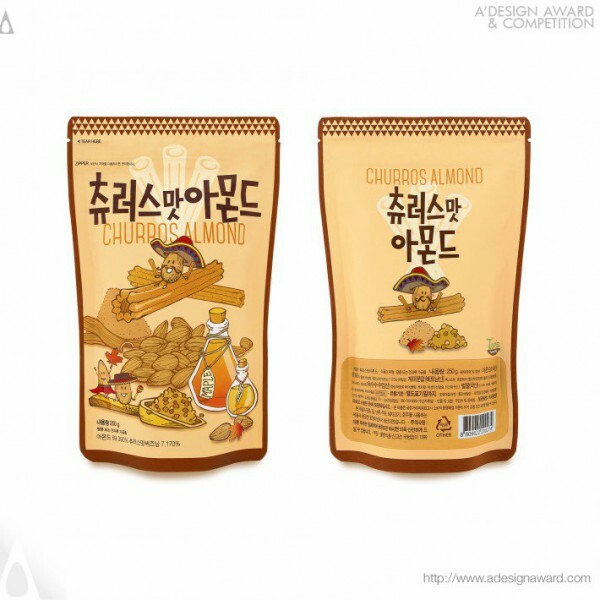 The designer made the nuts characterized and composed a fun composition with the material image as an illustration. 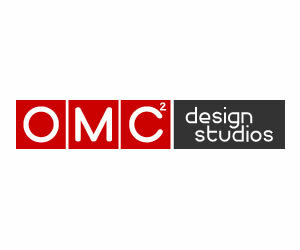 And she did a graphic work and title lettering with computer programs. 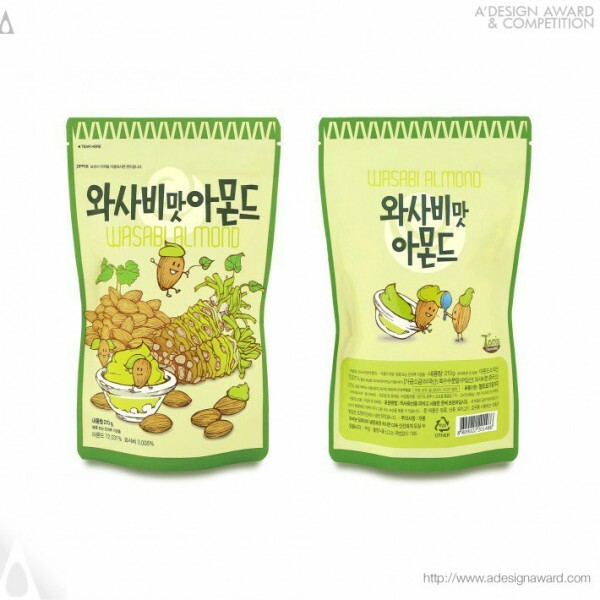 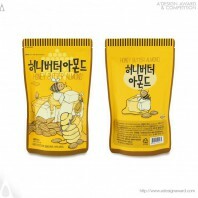 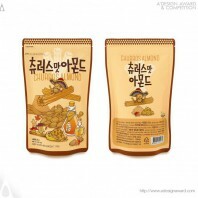 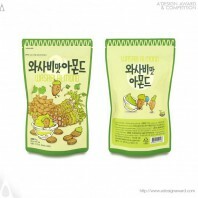 The Nut Snack Series was the first design in the nuts product to be tried with illustrations only and it has quickly become one of the most popular products in Korea..